The longsleeve, heavy silk georgette Adelaide top is hand embellished with hundreds of curled sequin petals creating floral blossoms. 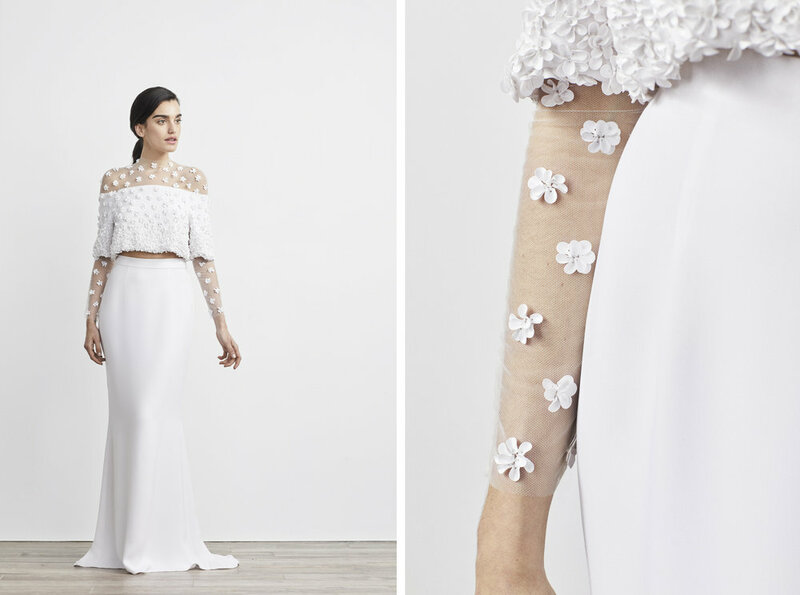 The embroidered blossoms are accentuated on sheer netting along the chest and arms. The Celine Skirt of heavy silk georgette features a clean front and elegant train. Making for a perfect combination of sophisticated elements, this look will be a stand out on your wedding day. Made in NYC. Top = 100% Silk, 100% Nylon, Custom Trim. Skirt - 100% Silk.